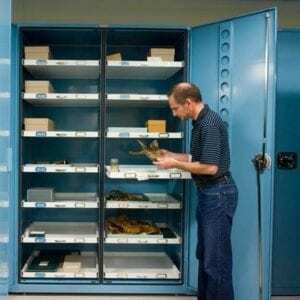 Conserve your collection with museum cabinets and shelving. 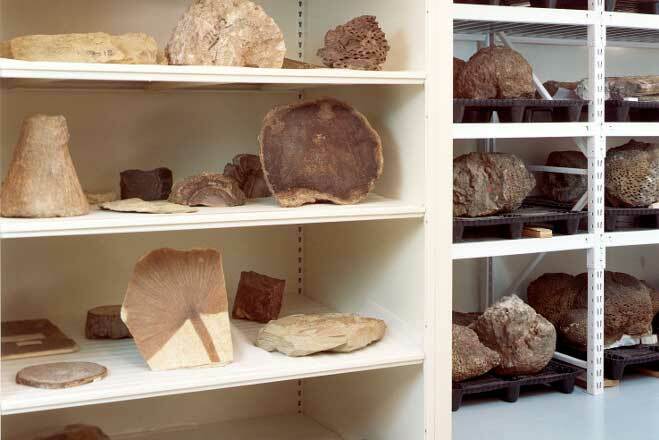 Display areas and exhibit shelving are found in every museum, showcasing a wide variety of materials. 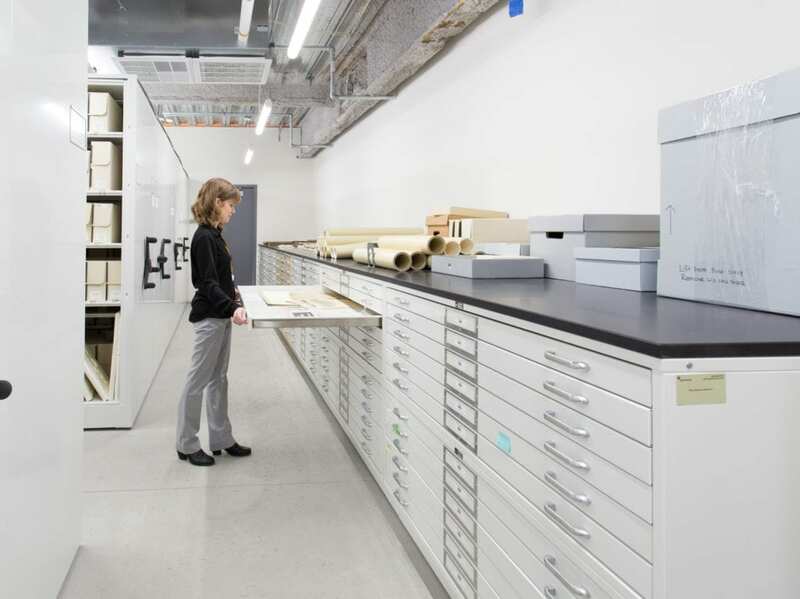 As exhibits and collections rotate and evolve, museum spaces and displays require flexibility to adapt quickly to new designs. We offer a wide range of specialty features that address concerns such as security, off-gassing, humidity control, and contamination prevention. 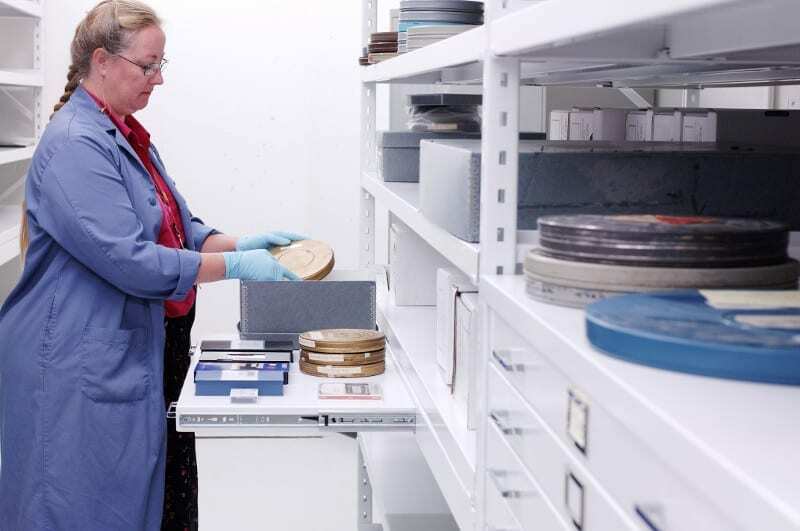 From intricate artifacts on display to behind-the-scenes laboratory materials, Bradford Systems Museum experts can assist your museum in the selection of the proper system to keep your facility responsive to changing collections. 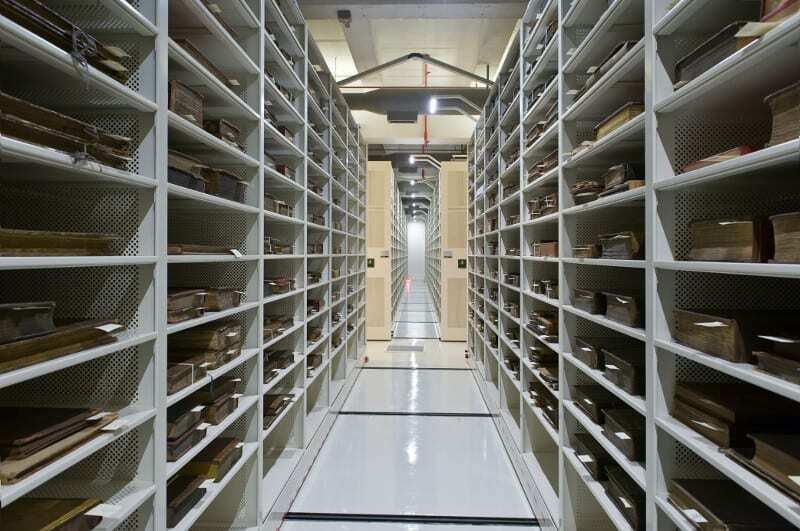 Our museum storage planners have the experience to know that no collection is standard. 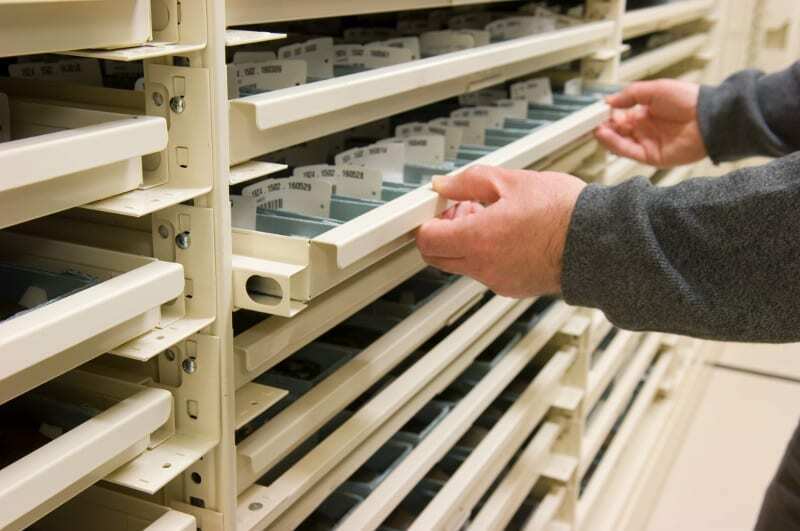 We will help find the optimal storage solution for your facility and daily processes. 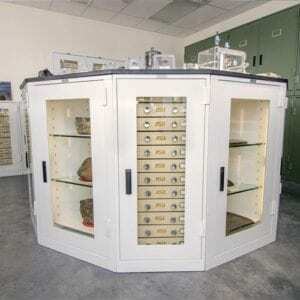 We offer Viking metal cabinets from Spacesaver. 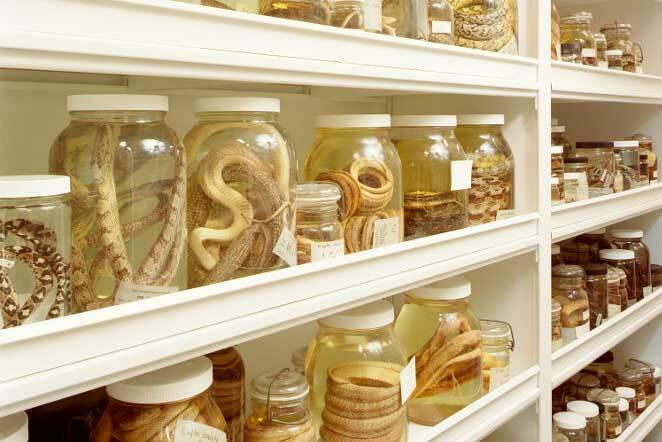 Their cabinets are designed to protect your collection from dust, water, and other risk of damage to preserve them through time. 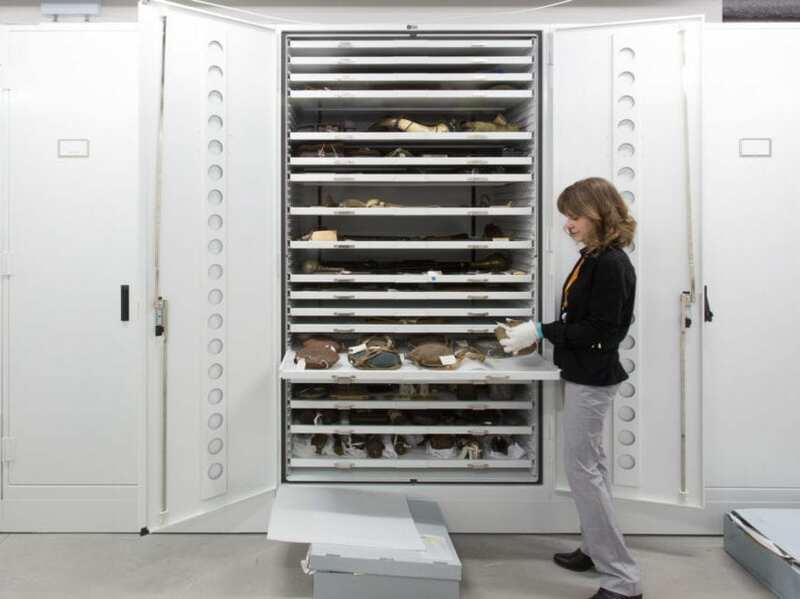 These museum cabinets can be mounted on mobile, high-density shelving which optimize storage space to allow for more collection storage in the same sized space. The cabinets are available in many configurations and can be tailored to your organization. Made in the USA, these cabinets are built to house and protect your collection for years to come. 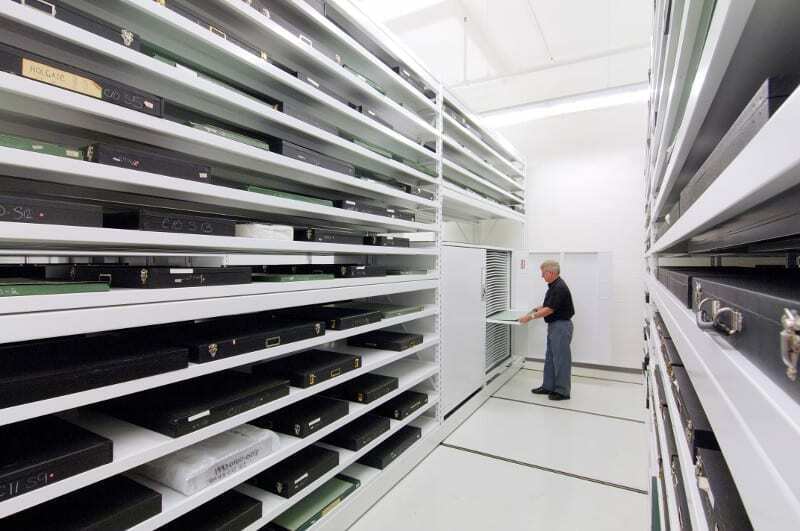 These flat file cabinets are ideal for securing maps, blueprints, and other wide-format items. Drawers are hung on stainless steel tracks with plated rollers to ensure smooth operation day after day for years to come. If equipped with the optional base, they can be double-stacked to create a counter-height work or storage surface. 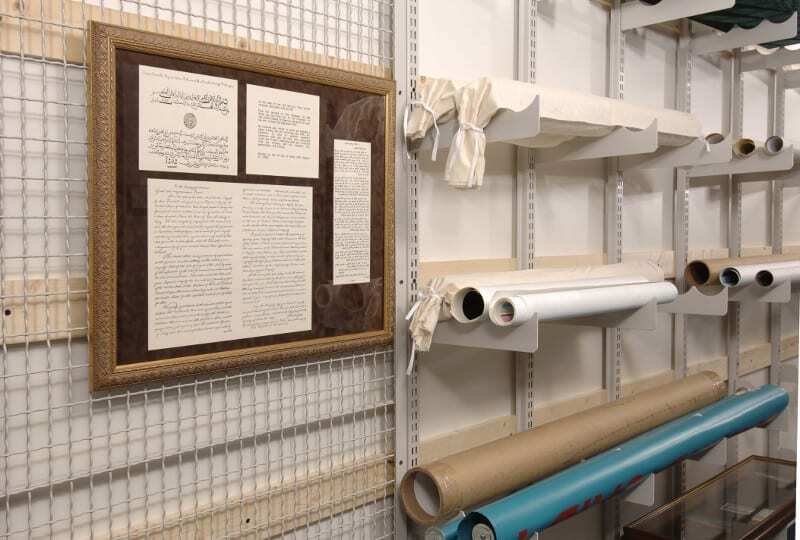 Optional features includes a “showcase” glass top to easily display individual works of art, while the WaterShield protects artifacts from being damaged by sprinkler deployment and other water risks. 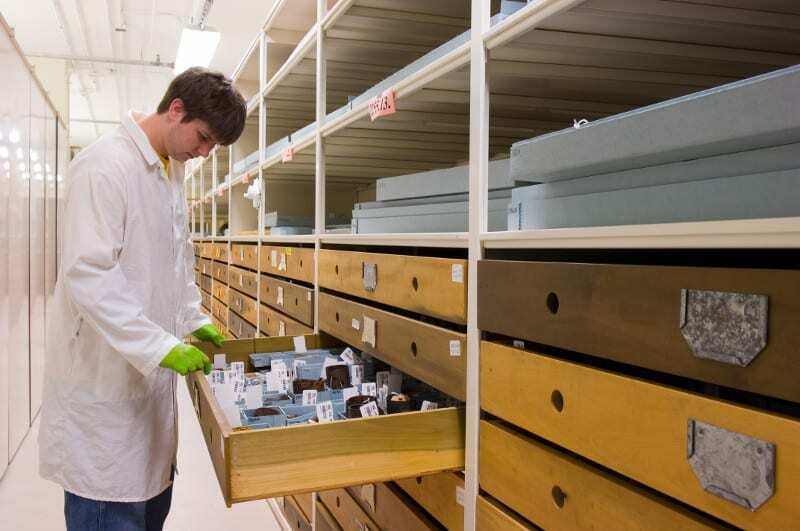 Ideal for geological collections, we offer cabinets that can be equipped with heavy-gauge steel drawers to accommodate heavy collection samples for decades of use. Visual doors allow viewing of contents, while lift-off hinges allow for easy transfer of contents between cabinets. 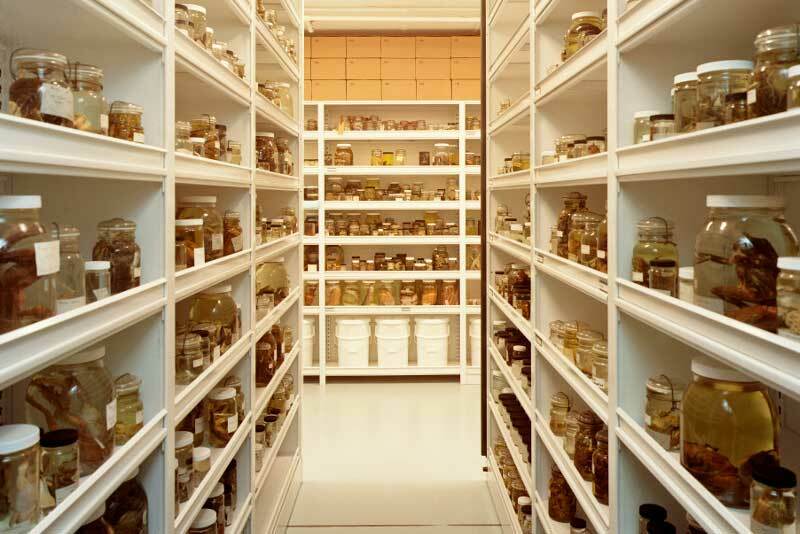 Our herbarium cabinets include door hinges that run the full length of the unit to preserve botanical collections and protect them from infestation. 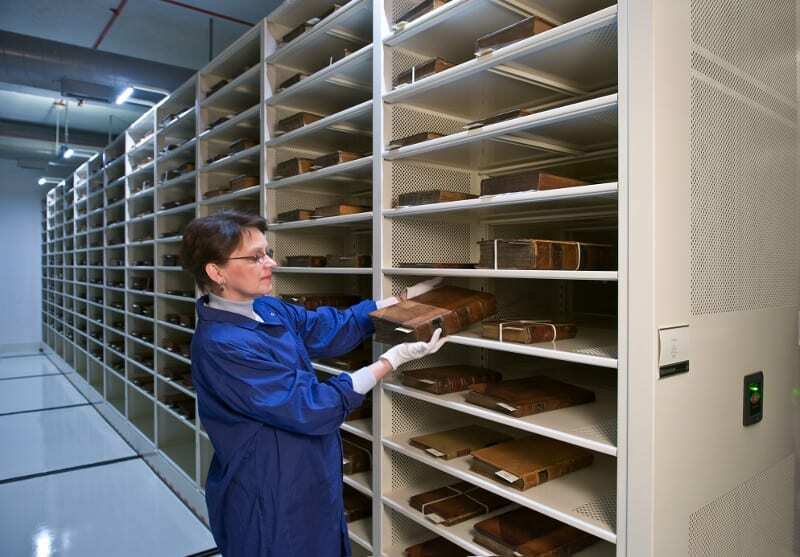 Full height models include a reference shelf for viewing specimens inside the cabinet. 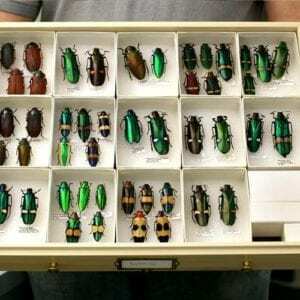 Precision-crafted cabinets used by the Field Museum, and suitable for all four styles of entomology collection storage – Smithsonian, California Academy, and Cornell drawer styles. Available in counter or full-height models. Full-height model features pull-out work shelves. 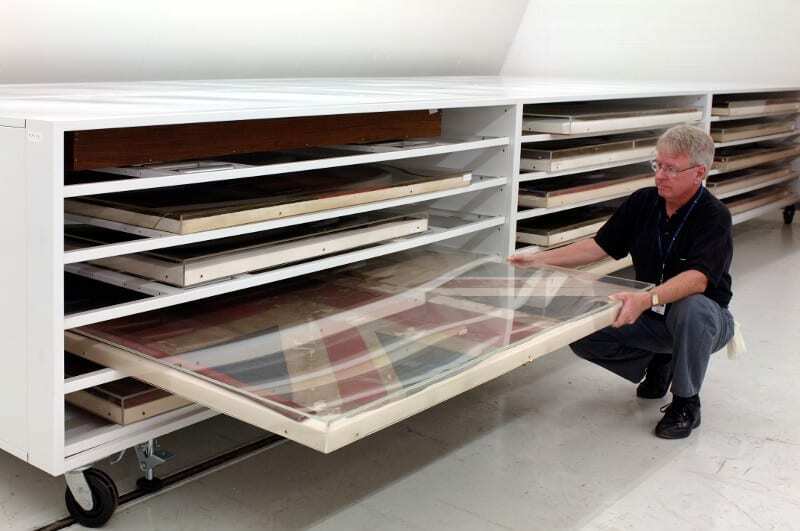 Download a museum cabinet guide to see which specifications are right for your collection.